Well we returned to this usual spot I hunt up a popular riverbed that has seemed to have a lot of people hunting it these days. It's a special place to me as when I started to get into hunting it was were we spent a lot of time and shot my first solo animal up there, just a doe chamois. Still have the skin on the couch. Then we saw this fella last sat night. Couldn't see how much antler he had till my wee camera used all the zoom to get some grainy pics. I couldn't believe it. 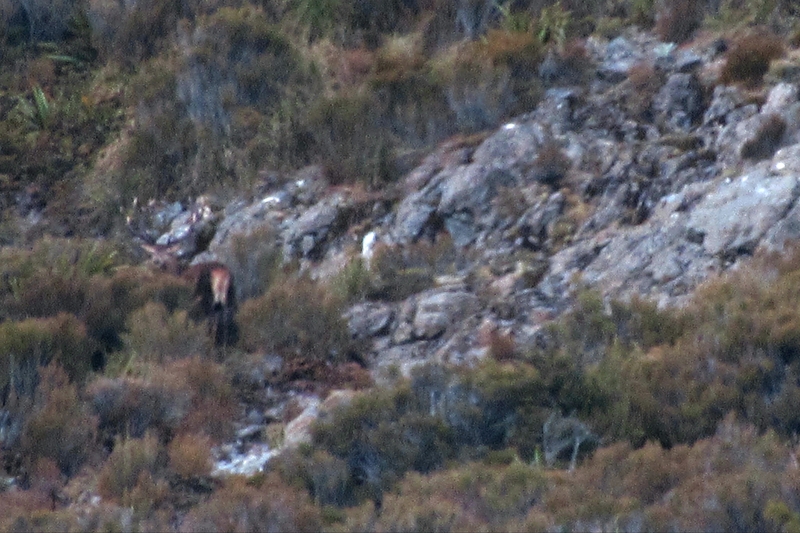 The biggest stag I have seen while hunting, He was also up very high out in the open. But too far to get on last light. Snapped some grainy pics and video and retreated back to camp. Couldn't pick him up in the morning so had to return home to work etc. 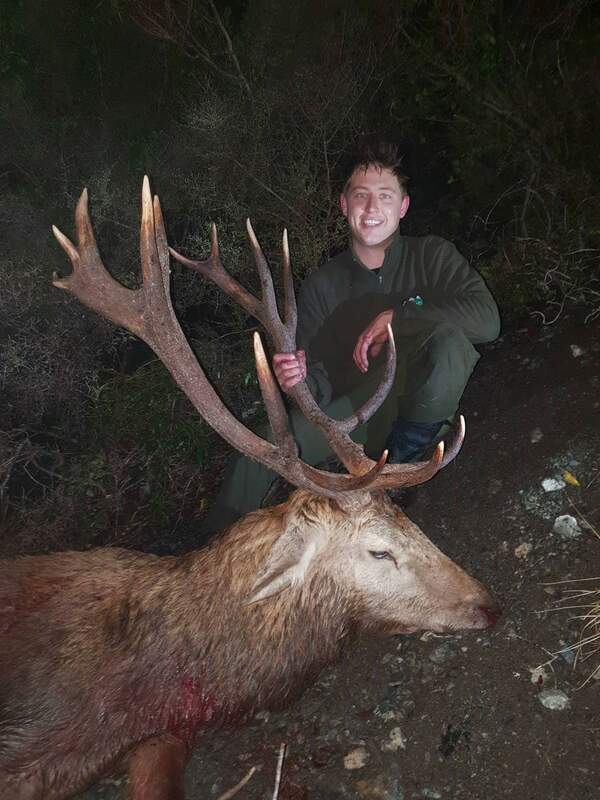 I sort of obsessed over this stag all week and was positive we would catch back up to him..but doubted it. We left work at lunch on Friday and managed to get to the area where we last saw him. The first was to get across the open riverbed without him spooking. The stag didn't move at all. My mate stayed back with the spotting scope and was going to radio if he moved off. Luck was on our side for once. Anyway, managed to get to 280ms and manged to sack him with my .308. 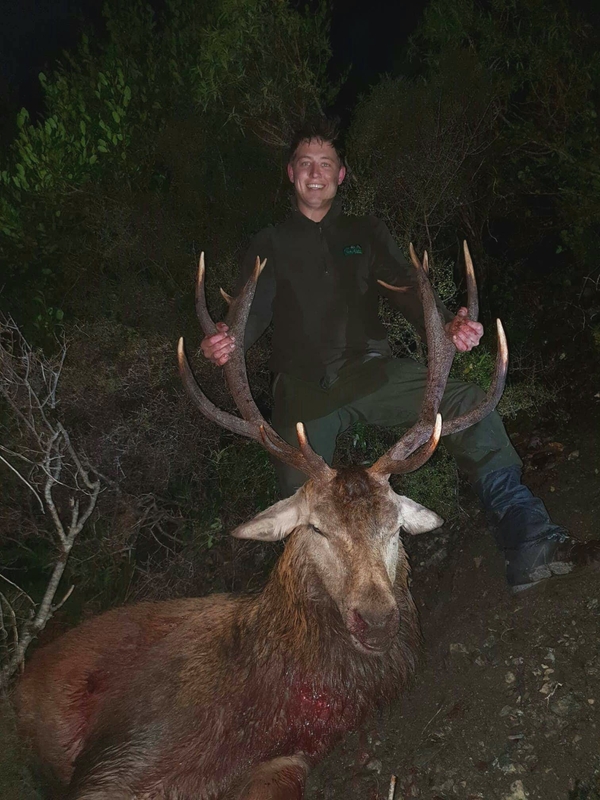 I was over the moon as I bagged my biggest stag to date by a mile. He wasn't quite as wide as the pictures i took on the previous Saturday but had more points(15, with one snapped bey wich makes him look more uneven than he should be) so that was a bonus. 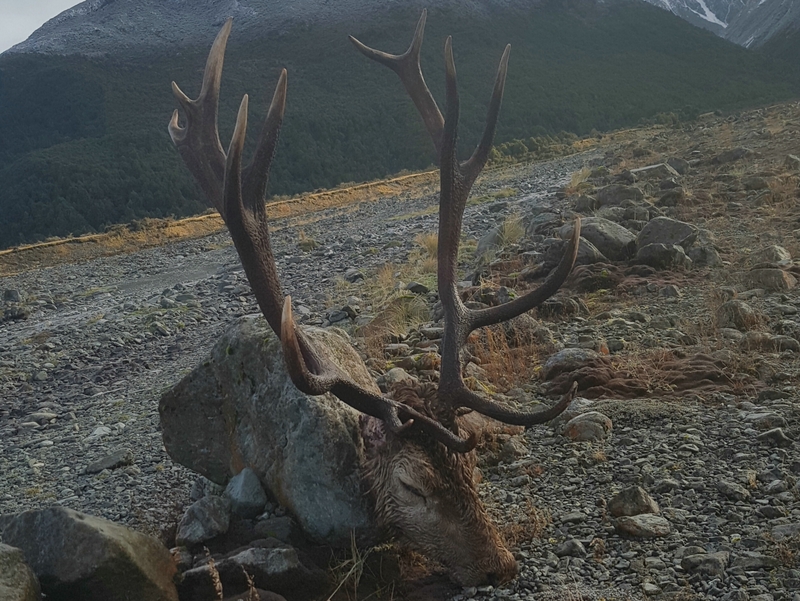 As we were sorting out the animal and ofcourse a good amount of photos, it started snowing, it was a cool feeling walking back to camp with a good stag finally. Next morning we had a quick walk about and then headed home early. 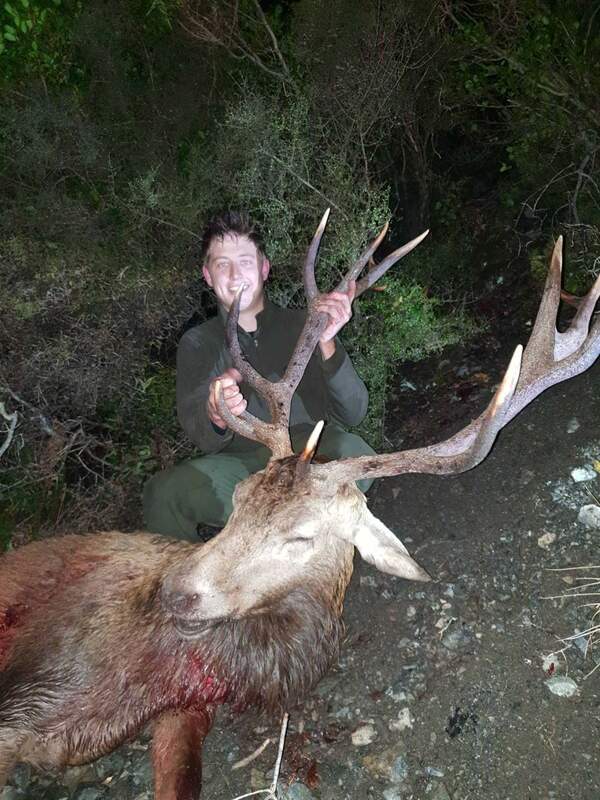 Couldn't really believe how Friday went, one of those dream hunts. Wish we had some good pictures of him on the hoof but it was just a bit too rushed. Last edited by T.w; 20-08-2018 at 11:36 PM. jakewire, Wildman, Tahr and 36 others like this. That’s an awesome stag. Anyone would be wrapped with that. I can’t image how your week was, thinking about wether he’d be there again or not. that's an awesome result for a good effort. H earty congrats man. Something for lifetime memories for sure. All times are GMT +13. The time now is 10:12 AM.